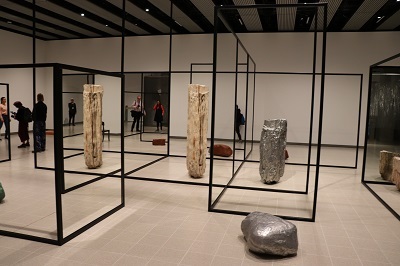 The Hayward Gallery presents a new exhibition entitled Space Shifters which features artworks by 20 leading international artists that challenges the visitor’s sense of space and perception. 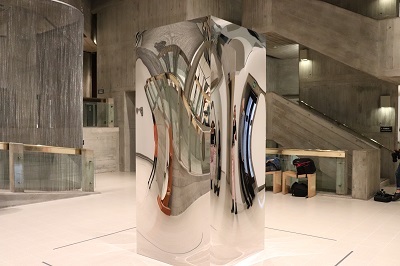 Many works in the exhibition interact directly with the Gallery’s distinctive architecture using reflective or translucent materials like glass, resin and mirror. The exhibition presents a range of historical and contemporary sculptures, as well as immersive, site-specific installations. It also premieres several major new commissions. 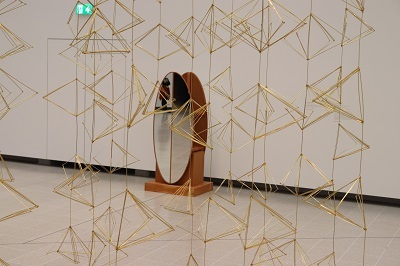 Participating artists include: Leonor Antunes, Larry Bell, Fred Eversley, Felix Gonzalez-Torres, Jeppe Hein, Roni Horn, Robert Irwin, Ann Veronica Janssens, Anish Kapoor, Yayoi Kusama, Alicja Kwade, John McCracken, Josiah McElheny, Helen Pashgian, Charlotte Posenenske, Fred Sandback, Monika Sosnowska, Daniel Steegmann Mangrané,DeWain Valentine, and Richard Wilson. The earliest works in this group show are often associated with the ‘Light and Space’ movement which originated in the mid-1960s in the Los Angeles area. At this time, a number of the American artists included in the exhibition began experimenting with unconventional materials and innovative fabrication processes. 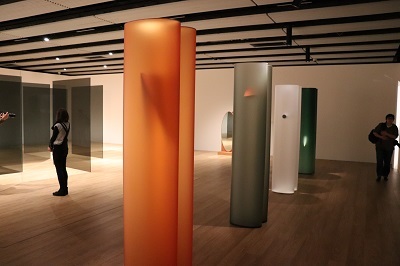 Helen Pashgian contributes several epoxy and acrylic spheres and a series of large acrylic columns which use varying degrees of transparency and light to generate optical effects. Many of the works created by these artists allow viewers to both see into as well as through the material of a solid sculpture. 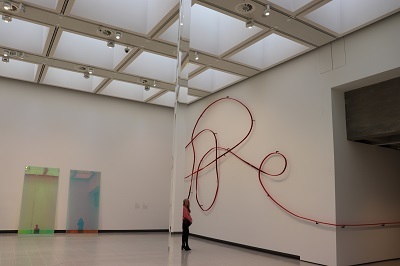 Robert Irwin’s work Untitled (Acrylic Column), 1969–2011 is a large clear acrylic column that rises over 4.5 metres in the Hayward’s upper gallery. 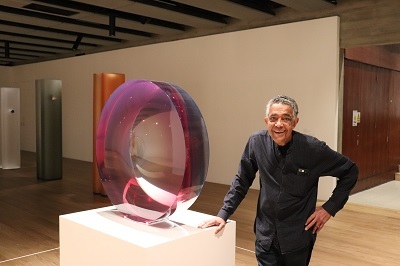 Using an innovative spinning casting process, Fred Eversley creates vivid coloured lenses through which viewers can explore the world in many different hues. 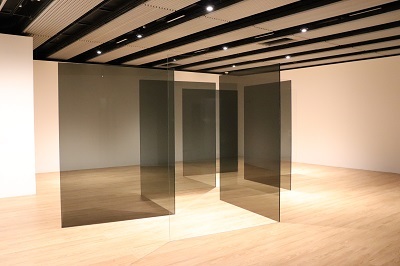 Larry Bell is represented in the exhibition by his first large-scale installation Standing Walls (1969/2016). 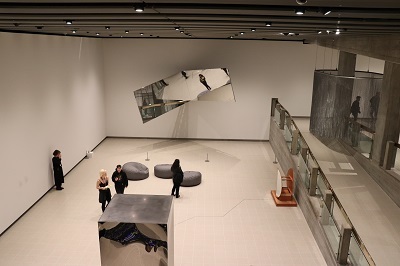 Viewers can enter to experience its different reflections and effects. Contemporary artist Ann Veronica Janssens demonstrate the diversity of perceptual effects using glass by exploring colour in radically different ways. 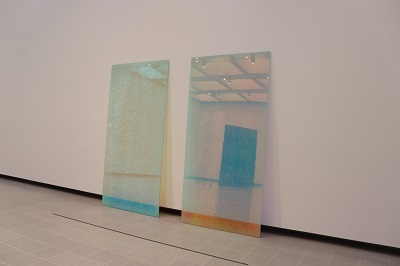 Janssens bonds reflective film between sheets of smashed glass for her Magic Mirrors. In the first gallery, Jeppe Hein’s 360° Illusion V, 2018, a huge rotating mirror sculpture constantly changes the reflections of the surrounding architecture and viewers. 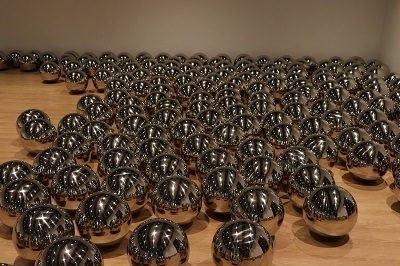 Other reflective highlights of the exhibition include: Yayoi Kusama’s renowned Narcissus Garden (1966-), a landscape of hundreds of large stainless steel spheres. 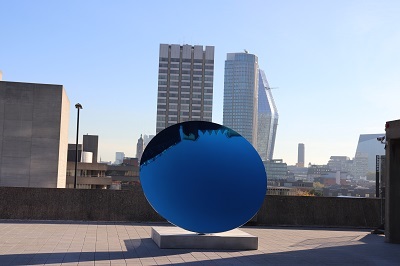 Using the outside light, Sky Mirror, Blue (2016) by Anish Kapoor captures a piece of the sky and reflects it onto one of the Hayward Gallery’s sculpture courts. Alicja Kwade’s WeltenLinie (2017) is shown for the first time since its premiere at the last Venice Biennale. This installation encourages the viewer to walk around and through its structure of frames, as objects seem to change appearance. 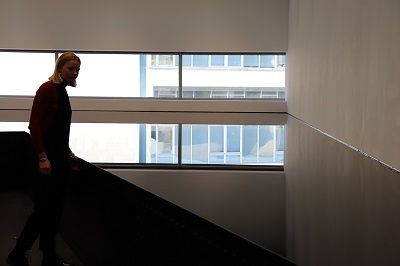 Occupying an entire upper gallery, Richard Wilson recreates his monumental installation 20:50 (1987). Thousands of litres of recycled oil form a waist-high horizon that surrounds the viewer as they proceed down a gangway. 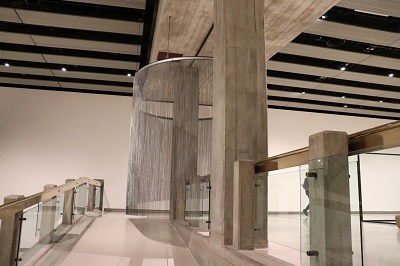 Leonor Antunes has created a piece that cascades downward from one of the new Hayward Gallery ceiling full of brass shapes. 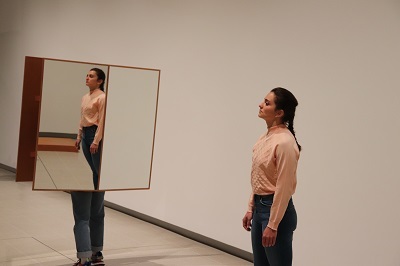 And while wandering through the galleries, visitors encounter Josiah McElheny’s Interactions of the Abstract Body (2012) which keeps perceptions shifting – trained dancers wearing mirrored wooden costumes interact with visitors as well as other artworks in a continuously changing performance. By londonvisitors2014 in Exhibitions on September 25, 2018 .